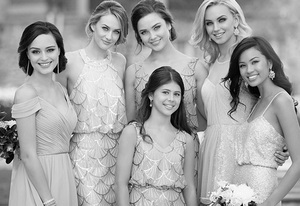 Are you tired of run of the mill bridesmaids dresses? You know the ones – you have several of them in the back of your closet; the style isn’t flattering, the fabric is dreadful and the color wouldn’t look good on a single person! 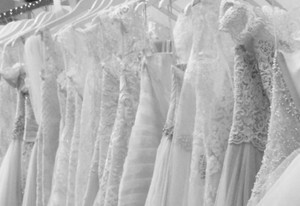 Now it’s your turn to marry and pick out the bridesmaids dresses and you’re envisioning a contemporary, yet classic look that will flatter your bridal party and complement your gown. Alfred Sung bridesmaid dresses are what you’ve been searching for. Alfred Sung bridesmaid dresses are fresh, well made and very chic! Until you’ve explored Alfred Sung bridesmaid dresses, you haven’t seen the best there is to offer in bridal fashion. Dessy bridesmaid dresses are available in a variety of styles to fit every body type and color palate. They’ll compliment your redheaded, fair skinned cousin and your dark hair, olive skinned bestie. Choose from off the shoulder, strapless and halter dresses, available in just about every color you’ve dreamed of, as well as many fabric options. Dupioni bridesmaid dresses are luxurious, figure-flattering and affordable! Your bridal party will thank you for choosing Alfred Sung bridesmaid dresses - the perfect blend of classic and contemporary that won’t break the bank!